These swimmers are all pretty large even by my website's standards. Continued from the previous page, Born in 195, insanely handsome Matt is an Australian swimmer and also a model. Gasp! 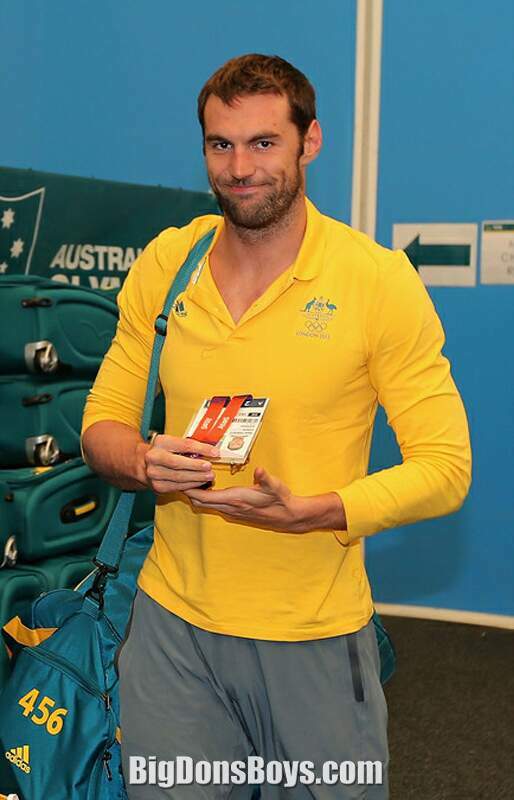 Targett was only selected for the 4×100-metre freestyle relay alongside countrymen James Magnussen, Eamon Sullivan and James Roberts. As favorites leading up to the London Games, the team was dubbed "Weapons of Mass Destruction" by the Australian media. The morning team, of which Targett and Sullivan were not part of, qualified fastest for the final. In what has been named by some to be "darkest day" in swimming in recent memory,[who?] the team came only 4th behind France, the USA and Russia. After a slow start by Magnussen, Targett as second swimmer held on to gain a position, while Sullivan, who had the fastest split of the team retained third place, however anchor James Roberts was unable to hold off a Russian powerhouse team, and was pipped at the wall and finished in 4th position. In a surprise decision by the Australian coaching staff, Targett was selected to swim the butterfly leg of the 4×100-metre medley relay in the heats. Targett swam a 51.30 and as a result was placed into the team for the final along with Hayden Stoeckel, Christian Sprenger and James Magnussen. Australia cinched bronze in the final, behind the US who claimed gold and only 0.32 of a second behind Japan. He is not to be confused with a soccer player of the same name who is a puny 6'0" 154 lbs. Wimp! Mario (born 1987)is a Croatian water polo player. He is left-handed and plays in the right wing position. He competed at the 2008, 2012 and 2016 Olympics and won a gold medal in 2012 and a silver in 2016. He held the world title in 2007 and the European title in 2010. Joković took up water polo aged seven at a local club near Dubrovnik. At the age of 14, he joined VK Jug Dubrovnik and has been there since. 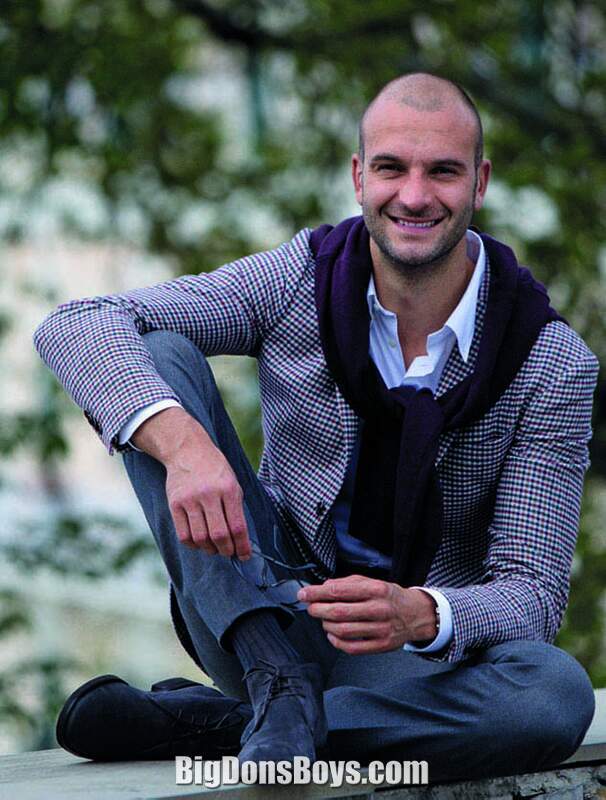 He is currently studying economics at the University of Dubrovnik. He is married to Maria and has one daughter. 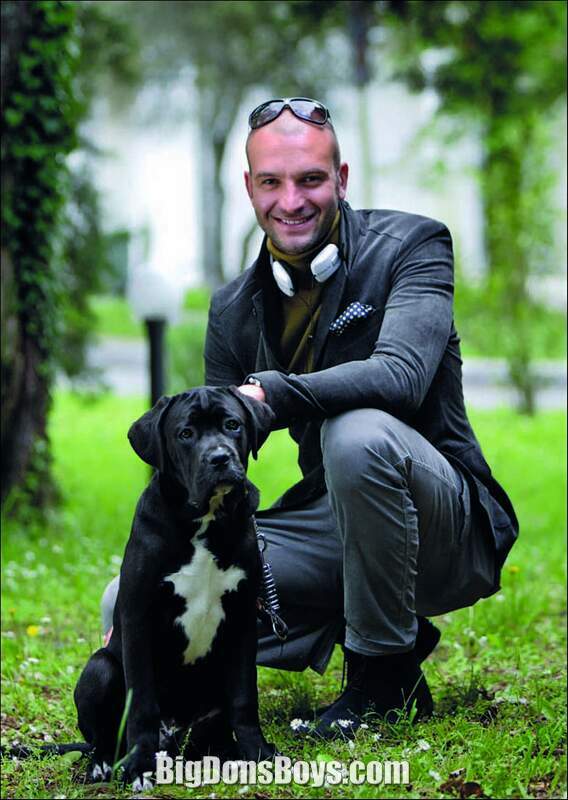 In 2013, he worked as a model for fashion designer Ivana Barać. 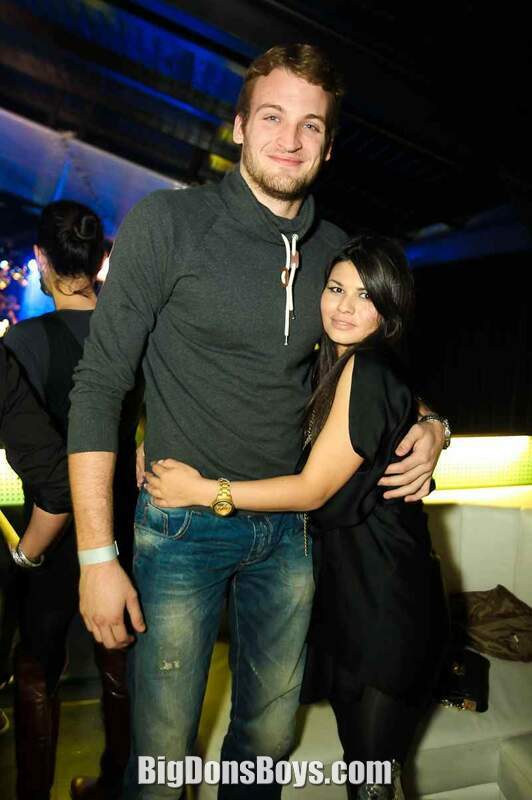 Like Jokovic, Milaković is also a Croatian water polo player. Born in 1992, he currently plays for Savona (2017) of the Serie A1. 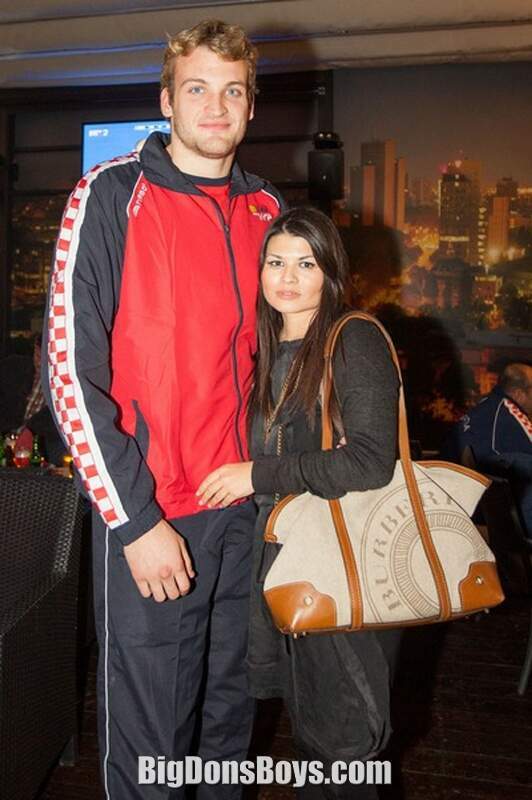 He also represents the Croatia men's national water polo team. Although his primary positions are left or right flat (driver), he is polivalent player and he can play as Hole D as well. He is 203 cm tall and 105 kg heavy but his main advantage and the fact with whom he is making difference among other water polo players in the pool is 220 cm long arm span (reach). Born in 1979, Stefano is an Italian water polo goalkeeper. He competed at five consecutive Olympics between 2000 and 2016 and won a silver medal in 2012 and a bronze in 2016. Tempesti started his career in his hometown's Futura Prato, before moving to RN Florentia. He remained there until 2003 when he started playing for his current team, Pro Recco. 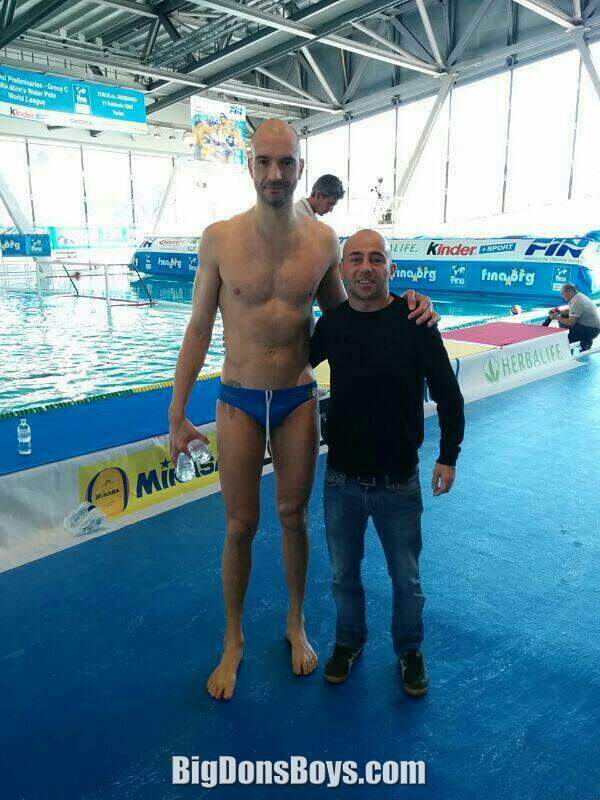 With Florentia he won a LEN Cup Winners' Cup in 2001, while with Pro Recco he won eleven consecutive national titles and five LEN Euroleagues (2007, 2008, 2010, 2012 and 2015). He debuted for the Italian national team in 1997 and won a gold medal at the 2011 World Championships, where he was chosen the Best Goalkeeper of the tournament. Tempesti has two children with his partner Elisabetta. He manages the women's water polo team Mediostar Prato. The University of Southern California's 2016 water polo team players are introduced before a meet. For a height comparison one of the athletes, Blake Edwards (shown at left), is 6'2" and from Melbourne, Australia. A long way from home! I hope he didn't have to swim all the way from down under.